Businesses grow and change, and often their names change with them. Now, you can change your Facebook page name and URL as you grow or acquire older businesses. For many years, it was impossible to change your Facebook name. Facebook has now loosened up slightly on that rule. 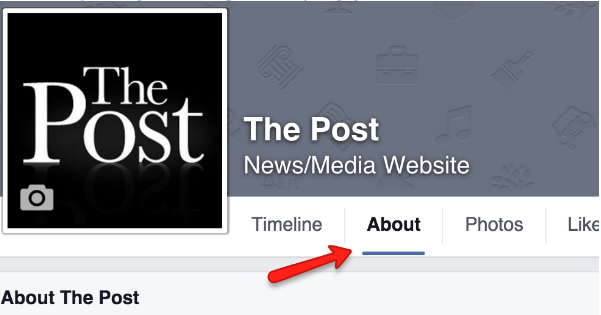 Today, you can change your Facebook page name — but just once, so do it thoughtfully. The process will differ depending on whether you have more or less than 200 likes. Get started by clicking the About option under your page name. Make sure Page Info is clicked on the left side. Then, find Name. When you roll over it, you will see a pencil icon on the right. Click that to edit your name. 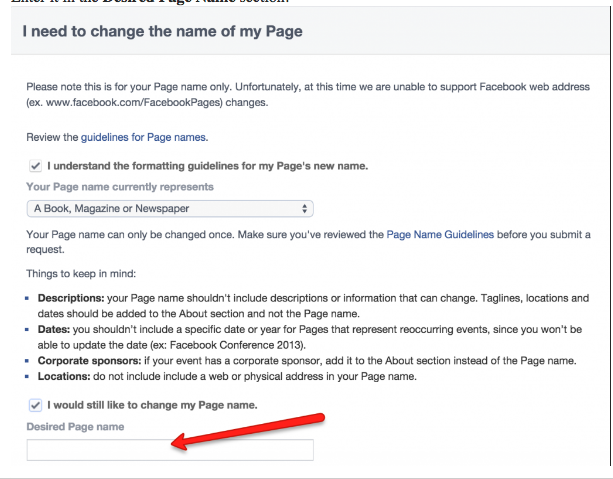 If your page has fewer than 200 likes, you can immediately change your name. If you have more than 200 likes, you have to request a change. Either enter your new name and click Save Changes if you can, or click on Request Change. Before changing your name, you need to clarify what your page represents. Facebook will let you change your name only once, so make sure you choose a name that can last! Enter it in the Desired Page Name section. View: How do I correct my name on Facebook? Here's where it gets a little tricky. Facebook wants to confirm that this is actually your business's name. To do this, you need to upload a document with your business's name on it. Facebook recommends a utility or phone bill, but we have been able to get a name change approved with almost any “official-looking” document. To make it easy, just take a photo of the document with your phone, and upload the photo. 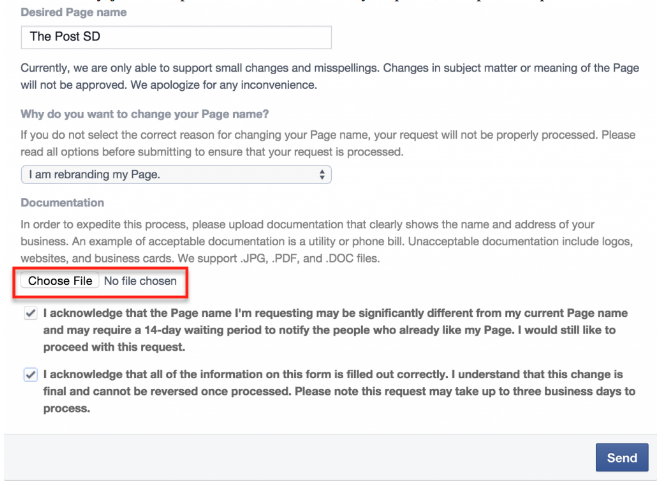 In our experience, Facebook has been quick to approve a name change when you have an acceptable document. Within a few days, your page name will most likely update. The site does say your name could take up to 14 days to update, so just check back to see if the change was successful.